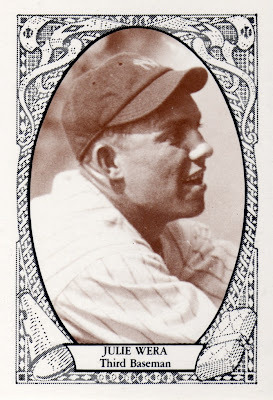 If you played in the majors for a single year, would you rather star for Kansas City or back up third base for the 1927 Yankees? Today's #5 features a man who saw that dream New York season first-hand, even if mostly from the bench. 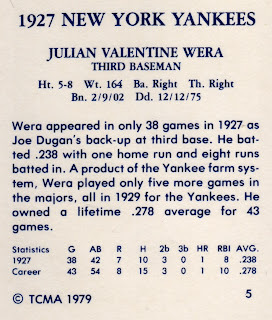 Julie Wera batted 44 times for Murderer's Row and hit his single career homer into the Yankee Stadium bleachers as a mid-game sub on the 4th of July (box score thus). The Bronx Bombers killed Washington's Senators 21-1 that afternoon, one national holiday our capitol city would sooner forget. TCMA honored this (arguably) best-ever team with 32 cards organized in no particular order, beyond placing Ruth first and Gehrig second. 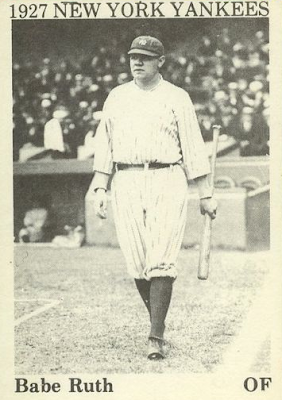 The checklist includes batboy Eddie Bennett, owner Jacob Ruppert, and GM Ed Barrow, so does add something unusual for Yankee team collectors (checklist at Baseball-Almanac.com). 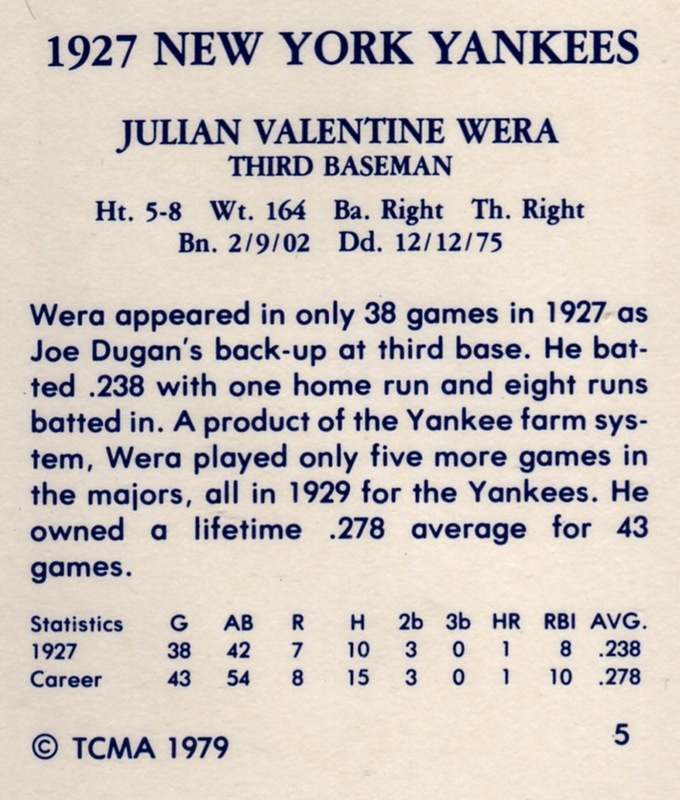 This relatively polished set came out just four years after TCMA published a cheaper, 30-card version with different photos, Yankee Stadium itself, and 2 multi-player shots (checklist at OldBaseball.com).